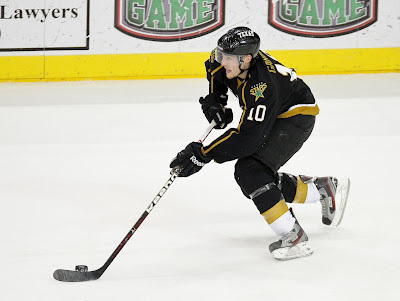 With the influx of Dallas prospects in Austin this past week, the co-managing editors of Defending Big D, Brandon Worley and Brad Garnder, will be in town to watch Saturday's Texas Stars game versus the Lake Erie Monsters. Immediately after the Texas game ends, Dallas continues their playoff push in San Jose. Defending Big D and 100 Degree Hockey have worked to put together a watch party at Buffalo Wild Wings after the Texas game. Come out and join us to talk hockey, prospects and all things Stars. We have secured the large projector screen for game. We hope to see you there. In addition to that, Brad, Brandon and I will also be hanging out around the Maker's Mark bar above section 112 during the first intermission to meet any of you who may not be able to come to Buffalo Wild Wings after the game. That's my section so I'll have to say hello!! Want to watch the game tomorrow (4/3), where's the party? ?